Nine years ago, Romy Camargo was paralyzed by a gunshot to his neck in Afghanistan. He now resides with his wife and family in Tampa, Florida where they run a non-profit organization that helps those who are affected by spinal cord injuries. Robotics has been a growing interest for Toyota, and for the past few days they have been spending time working with Camargo. 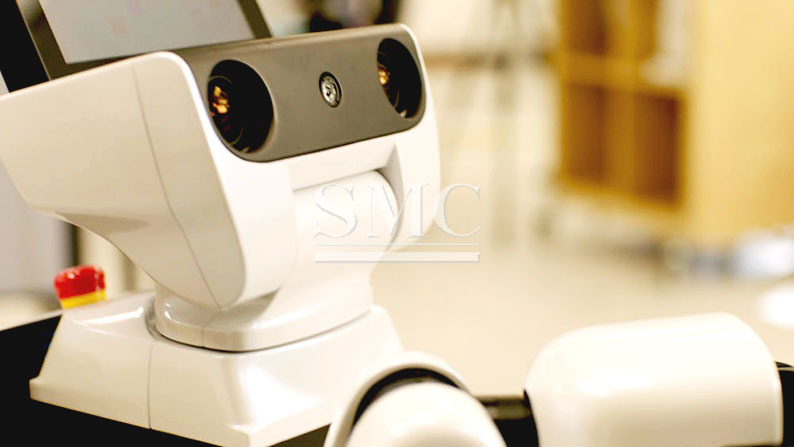 The robot that Toyota developed is able to help Camargo with simple tasks around the house such as bringing him water and snacks as well as opening the front door for him. Camargo worked with Toyota to create a list of everyday tasks that they would try and program the robot to do to help Camargo. The very first task that he was concerned of was retrieving water. In order to keep his kidneys running smoothly, Camargo strives to drink at least 1.5 gallons of water each day, but it is not always readily available to him. In order for the robot to fetch the water, Toyota embedded a QR code on the bottles so that it would be easy to identify for the robot. Because the robot relies on sensors to see where it is going, the team mapped out the interior of his home to make it easier for the robot to navigate. Tasks like opening the door gets difficult for Camargo, which was another test that they experimented with. There are times when Camargo is outside without his phone and needs to be let back in, but has trouble to get someone to open the door. To address small situations like this, Toyota has developed a facial recognition technology to help the robot open the front door of Camargo’s home. They installed a camera on the outside of the front door that will be able to recognize his face. Once his face is fully recognized, the robot is notified to hit a button that will automatically open the door for him.